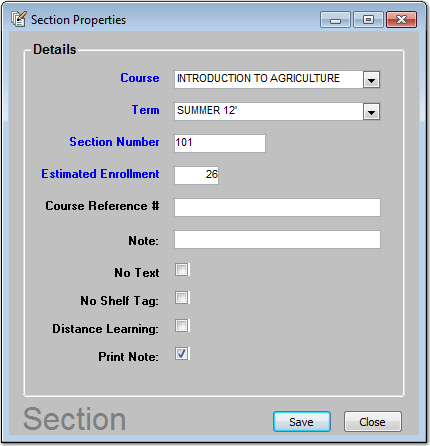 Adopting textbooks could not be easier using Booklog’s Course Materials Management module. At the touch of a button, text buyers can quickly see all courses and sections on one screen and immediately know which sections have been completed and which still require action. When adopting items, you have access to Follett’s bluebook with over 300,000 titles with bibliographic information and pricing. 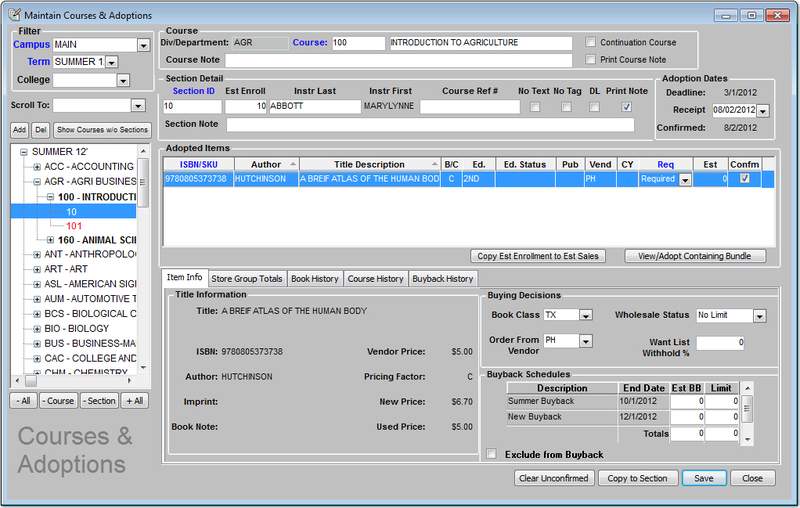 Just enter the ISBN or search by author and title and new inventory items are immediately added to the database and adopted for a class. During the adoption process, historical information is available on the same window so you can make an educated estimate of sales for the upcoming term. The Student Registration Interface (SRI) is a premium feature that allows you to import student registration data exported from your institution's registrar.